Do you wake up with a sore neck? Is your partner bothered by your snoring? We have a solution. 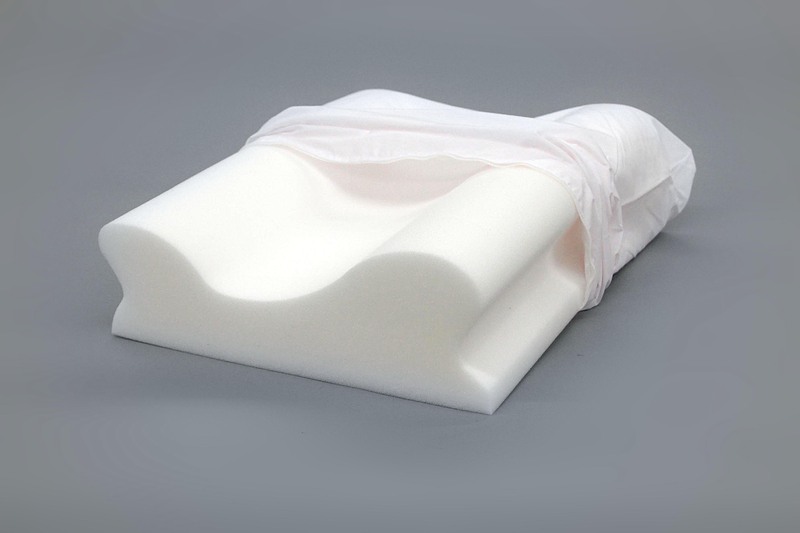 The Bodyform® Orthopedic Premium Foam Cervical Pillow is engineered with two cervical rolls, one small and one larger. The two sizes allow you to choose the right size for proper neck support. Proper neck support will reduce the incidence of both neck pain and snoring for a great night’s sleep. Pillow soft foam naturally breathes providing the proper environment for healthy skin. Standard Size: 19.5”wide x 14.5”depth x 5.5”high.